A Senate panel approved a bill Monday that once again tries to impose some standards on lawmakers when they redraw the state’s legislative district boundaries. A similar bill failed last year and like last year, many advocates want it to do more. Some of the bill’s language says legislators should try to keep intact cities, communities, and neighborhoods when drawing new maps. And it says incumbent lawmakers’ addresses shouldn’t be considered. Redistricting reform advocacy groups have long called for a bigger step: an independent redistricting commission to draw Indiana’s maps. 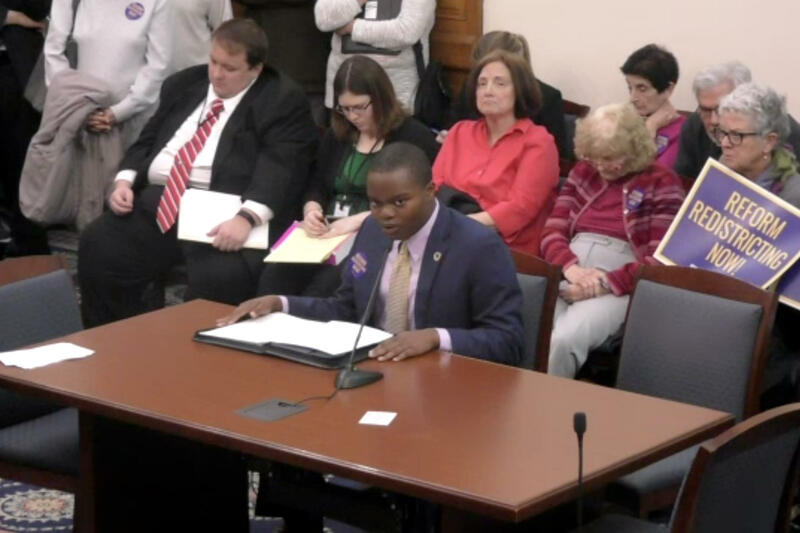 High school student and a member of one of those groups Christian Omoruyi says failing that, the bill – which advocates support – can still be stronger. “Expressly stipulating that districts cannot be drawn for partisan advantage,” Omoruyi says. Sen. Erin Houchin (R-Salem) doesn’t like the bill, and voted against it. “I’m not opposed to the standards, but this bill assumes that we can’t draw fair maps,” Houchin says. Other state legislatures have recently had to redraw maps because courts said they were drawn for political gain.